What is a FAA Medical Certificate? How do I obtain an FAA Medical Certificate? An FAA-designated Aviation Medical Examiner (AME) must examine you. You must contact an AME of your choosing, schedule an appointment, complete an official FAA application form via MedXPress, and undergo a physical examination by an AME. If you meet the appropriate medical standards, the AME will issue you a medical certificate. Search for Aviation Medical Examiners in your area. We use Dr. Philip A. Sidell for all of our Medicals. He is located at 3920 Sunnyside Rd. Edina, MN 55424. He can be reached at 952-926-3002. Common Issues with the Medical Exam. 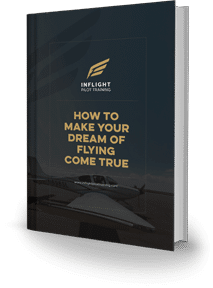 For most students, the process of obtaining a Student Pilot Certificate is simple and will result in the student leaving the office with the certificate in hand. For a few, it will require a slight delay while a piece of additional history or an updated report is obtained from their treating physician. For even fewer, there can be delays due to significant past or present issues. Our goal is to issue the medical certificate as timely as possible and to help students with the process of further evaluation if needed. Below are examples of unexpected problems we encounter that can be disappointing for both of us when not aware of before the doctor visit. The aviation exam is straight forward and not to be feared! You complete your form on line at medxpress.faa.gov within 60 days of your appointment and bring the form with you. Once you submit your form online, you are unable to make any changes but we can update the form if needed or if an error has been made. At the exam, we review your form with you, perform physical exam with eye test, color vision, urine test and depending on age, an EKG for the heart. Please bring any glasses with you! First and Second class pilots must see 20/20 vision, Third class 20/40 vision. If all good – you’re done and leave with your Student Medical Certificate! Most pilots are aware if they have significant medical problems that may be needed information, evaluations and reports but below are a few common problems that we encounter. This is not meant to be all-inclusive and the FAA continues to update and modify procedures. More information can be obtained at FAA.gov or by calling us. Please note that for issues that we are not able to give you your certificate and require FAA review, the process may easily take 3-4 Months. If more than five years ago and only one episode, put the full details on you form with a statement of your present alcohol use. We usually can issue. If less than five years ago and blood alcohol was less than 0.15 %: We need a personal statement as to details of the episode and present alcohol use, copies of the arrest and court records. If all is favorable, we can usually issue. Here is the big section: More than one DWI ever, or within the last 5 years and blood alcohol level 0.15 % or higher. The FAA will be concerned about dependency and the ability to follow rules. This will require the above reports, a chemical dependency evaluation and all driving records from states where you have held a license. We will forward these records for review and we will not be able to issue certificate. The FAA does not allow the use of any medication for the treatment of ADD/ADHD. If you have this history, you will be require to obtain specific testing after being off the medication for 90 days to demonstrate the ability to perform and learn adequately. This is a lengthy process and the reports will require review by the FAA. If this pertains to you, please contact us or the FAA and we will forward the required evaluations needed. Note: This is not a simple note from your treating physician. Of course you’re anxious! You’re trying to fly a plane! This section is if you have had a history of medication use (past or present) for treatment. Distant past use (several years ago): put a detailed explanation on the form and we will discuss. We often can issue. Discuss with your physician and discontinue medications. After 60 days, obtain current status report to include your past history with reason for use and no issues now that you are off the medication. We may need to review with the FAA but can often issue in short period of time. If you are using approved medication (Prozac, Lexapro, Zoloft, or Celexa) and have been stable on medication for 6 or more months: you may elect to stay on the medication and obtain a special issuance from the FAA. Please call us. This requires special reports and the need to see a specific aviation medical examiner. Depression/Anxiety medications not listed above are not allowed by the FAA. Remember – it is better to be honest and upfront as to past and present issues. We can work though most issues with some time and energy. There are significant penalties for falsification. We look forward to helping you achieve your goal! Any person exercising the privileges of any of the following certificates: airline transport pilot certificate, commercial pilotcertificate, private pilot certificate, recreational pilot certificate, flight instructor certificate (when acting as pilot in command if serving as a required pilot flight crewmember), flight engineer certificate, flight navigator certificate, or student pilot certificate. Except for a person employed by the FAA, a branch of the military services or the Coast Guard, a person acting as an air traffic control tower operator also must hold an FAA Medical Certificate. What are the minimum and maximum ages for obtaining an FAA Medical Certificate? There are no minimum or maximum ages for obtaining a medical certificate. 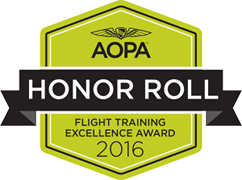 Any applicant who is able to pass the exam may be issued an FAA Medical Certificate. However, since 16 years is the minimum age for a student pilot certificate, people under 16 are unlikely to have practical use for an airman medical certificate. Do I have to get a Medical Certificate With The New Basic Med? If you are a new student you still have to get the FAA medical certificate. Afterwards you can follow the FAA’s new basic med guidelines depending on what type of flying. If you are a career student we recommend sticking with a 1st class Medical. If you are a leisure student after you obtain your medical the first time you can follow the FAA Basic Med Guidelines.